Apple CEO Tim Cook said last month that Apple has a plan to improve Apple Maps. This plan might include the acquisition of location services app Waze. This is a social traffic and navigation app that has over 30 million members and already provides data for Apple Maps. 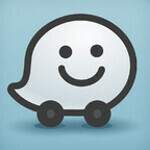 Data from Waze comes from moving cars allowing for real-time traffic updates and its reach covers the entire planet. Passive users can simply let their moving car provide real-time traffic data while more active members can report accidents, police radar traps or other problems that affect traffic. Many have considered Waze to be a better fit for Apple than Foursquare, which has met with Apple Senior Vice President of Internet Software and Services Eddy Cue to discuss adding its local recommendations to Apple Maps. 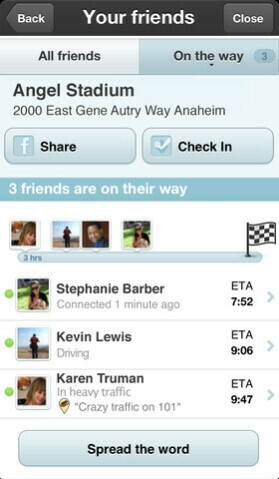 The latest buzz is that Apple and Waze are negotiating a deal although the two are pretty far apart. Waze, which had less than $1 million in revenue last year, wants $750 million for the company while Apple is offering $400 million. What makes Waze a better fit for Apple than Foursquare is the latter's more limited reach and the idea that a sign-in service isn't as reliable as tracking moving cars is. Waze has added Waze Ads which is a location-based ad network that allows local companies to grab the attention of nearby drivers, another tool that Apple could use. 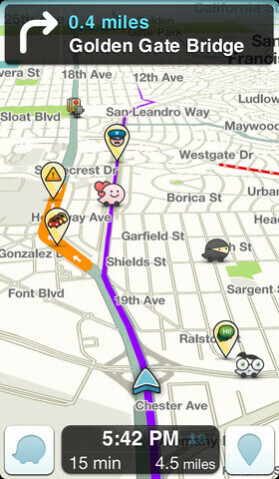 And since the Apple Maps fiasco began, Waze has seen a surge in downloads to 100,000 a day, a 25% increase. At the same time, the app has increased its marketshare to 10% of U.S. Apple iPhone users from 7%. Will Apple be able to close the deal? Stay tuned! We already have google maps. No need to hurry in improving the built-in one. I hope they don't get bought. Waze is my favorite GPS app on Android and everyone knows Apple will remove it from Android. One sure waze to improve Apple Maps is to uninstall it! So, I guess the deal is a long WAZE off, right? LOL. Further proof that apple cannot innovate and IOS is garbage. That's all they do folks, buy apps and pay others (Samsung, LG, Sony) to make the parts that compose an iphone. Eh. This isn't like the antenna issue or the i5 camera issue, so it's not a fair comparisson. There was no way for Cook or apple to say "You're using apple maps wrong" or "it's supposed to do that". They HAVE to adress it since there really is no way to spin it into being user error. Let's not pretend like apple has an ounce of altruism. Agree, but Apple was still able to say "It is normal!" talking about iPhone 5 scratches out of the box. That's what I'm saying, there was absolutely no way of spinning this. apple didn't apologize because they care or in any way give a sh*t, they apologized because they had to in order to placate the masses. apple Maps was such a collussal failure that they had to own up to it. What do you think about this list that shows you which companies Google bought? http://en.wikipedia.org/wiki/List_of_mergers_and_acquisitions_by_Google Are you saying that they can't innovate and that android is garbage because they bought out so many companies? Gee, I wonder who comes on this site and arbitrarily -1s everyone? I don't like hearing that Apple is planning on buying any company. Typically it means that whatever app or service that company provided will no longer, or never will be available to users of other platforms. Sometimes even users of older iOS devices. Bye, bye Waze...it's been fun. "Get the iphone 5S, now with WAZE! Designed and developed EXCLUSIVELY for the iphone 5S!" Calling it now. The more they try to improve Apple maps, the more I feel like it's wasted money. It will take the program years to clean itself of the taint and enter a somewhat competitive level with Google's service. Apple should spend more time building their cloud services IMO. More and more users appear to be using them for business around the globe. Why not focus on that? I hope Apple can't acquire it. They'll probably find some way to screw it up, probably make it a paid app at least. iphone 5S with iWaze. They did the same thing with SIRI. For those that don't know, SIRI was an app on the app store anyone could download, until apple purchased it and made it an "exclusive" feature in the 4S. They're so desperate to build in a year what Google built in 10. They won't best Google maps by smushing together every other map system they can buy. But we can sure have fun watching them try! WAZE is the best! Its severely lacking in North America, but in the middle east everyone has it! everyone uses it! the more use it the better it becomes. Waze has a lot of potential! Apple knows this, and so do the current owners of Waze! I can't believe Apple is being so cheap about this! fyi, there's a typo! the way the article reads is that apple doesn't want to pay an extra 350 million for a company that makes less than 1000 million (billion). it's implying it makes close to 1000 million but not exactly. that makes no sense! i think you ment less than a million, not billion!!! The irony...lol Gotta love these guys...Pure entertainment.